During the Summer I took part in Chad Valley's 100 days of play. The idea to encourage children to step away from the Tv, the games console, social media and get back to good old fashion play. As a thank you for joining in, I was recently sent some of the toys from their new Design-a-Boutique range. Well I had to share my thoughts with all of you. This new range features three different boutique shops, a cafe a fashion boutique and a pet shop all priced at £24.99 each. 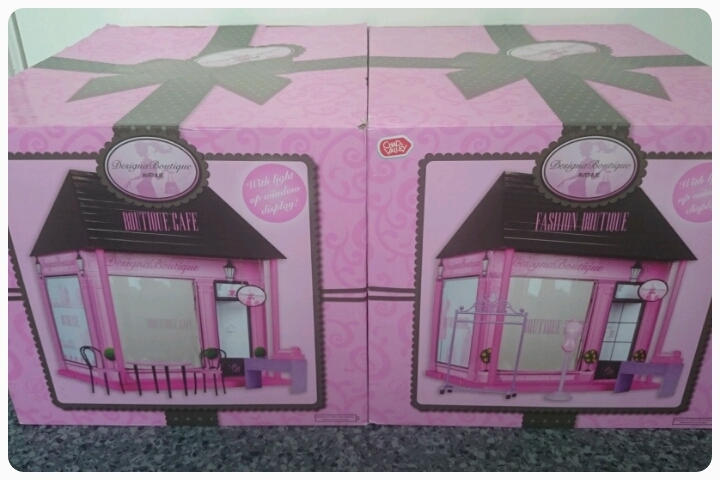 My girls and I were sent the cafe and the fashion boutique along with some of the accompanying accessories. Arriving in gorgeously pink packaging, all wrapped up in a bow, it was immediately appealing to all of my daughters, very chic. 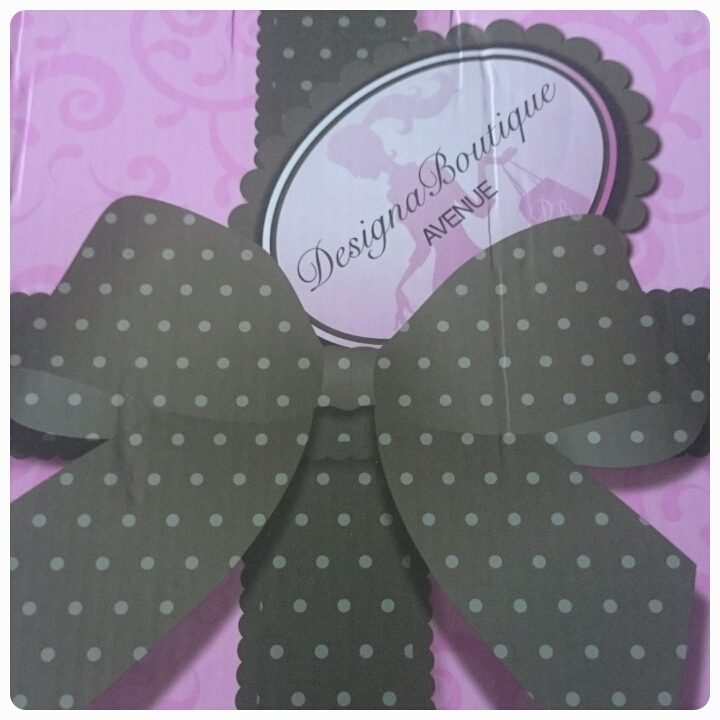 Each box contains the boutique itself as well as added accessories to help you set up your shop. The cafe came with table and chairs as well as menus and pads to write down orders on. The fashion boutique came with rails and mannequins for clothes. Something I really liked as a parent was that there wasn't loads of fiddly bits to put together, the only thing that I was needed for was to put batteries in. And what were the batteries for you ask? To light up the shop of course. 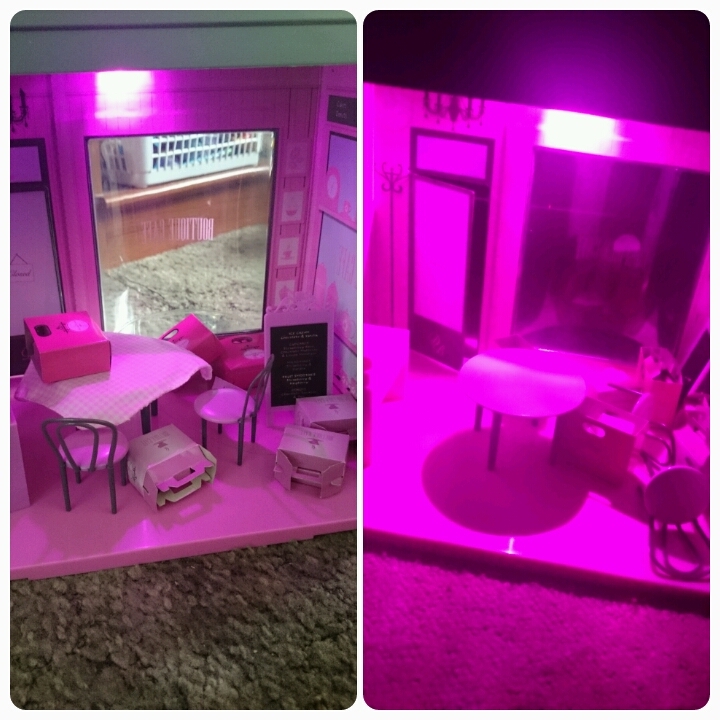 The picture below shows the boutique lit up at night and during the day. A brilliant effect and made it suitable for play during the day and then being able to carry it on at nigh time too. I captured the girls on video as well, it goes to show that it really gets their imaginations working and each time they played with the boutiques it was like a new game being created. I love that their are more accessories and dolls that can be bought, meaning you can build on the collection. The prices of these start from £4.99 so very reasonable. My only complaint, I wish that the boutiques came with a doll to begin with because although my girls used their own dolls, they weren't as suitable as their dolls are quite big compared to the size of the boutiques.